Mushrooms greenery soup. Recipes from Russia. 1 kg ( 2,2 lb) mushroom, washed (in plenty of water). 1 - 2 potatoes, chopped into strips. 1 tbsp parsley roots, chopped. 1 - 2 onion, chopped. salt, Chopped green onions, bay leaf, pepper corn to taste. 1. 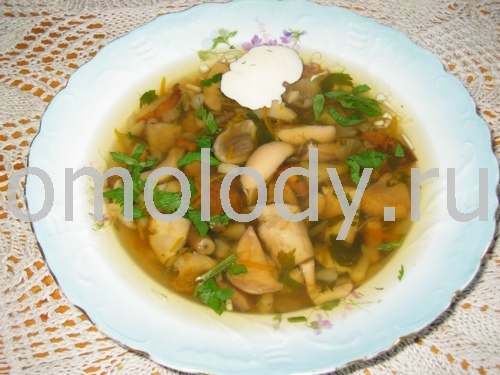 Cook a mushroom broth: carefully wash some mushrooms, chop it and put them in saucepan with cold water: 2 litres (2 pint). Cook them in the water until they are cooked. 2. Finely grate carrot, chop parsley root and onions. Saute with oil in the skillet. 3. Meanwhile chop potatoes. Put the sauteed vegetables and potatoes in the stock and simmer for 15 - 20 minutes. 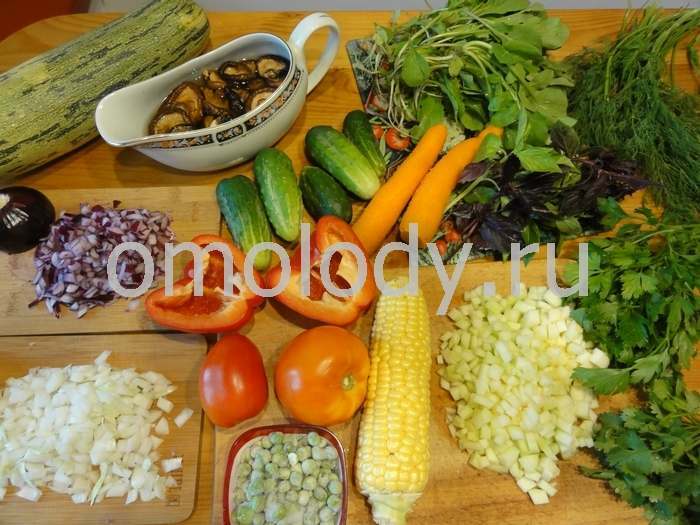 Add the chopped green parsley, green dill, reen onions, bay leaf, pepper corn and salt to taste at the end. Mushroom soup is usually served with sour cream.